World Diabetes Day (WDD) takes place every year on November 14th. It was established in 1991 by the International Diabetes Federation (IDF) and the World Health Organization (WHO). This important day is set aside to promote advocacy and collective action in addressing diabetes as a global health epidemic. 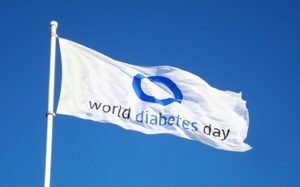 In 2006, the United Nations (UN) passed Resolution 61/225, making WDD an official UN Day. 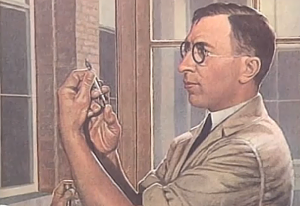 November 14th was chosen because it is the birthday of Sir Frederick Banting, who together with Charles Best – both Canadians – discovered insulin in 1922. In simple terms, diabetes is a condition in which the body cannot use glucose properly. As the main source of energy for the body, glucose levels are controlled by insulin. When the body (pancreas) produces no or very little insulin, this is type 1 diabetes. Type 1 diabetics need daily insulin injections and regular checks of blood sugar levels. In type 2 diabetes, the pancreas sometimes makes enough insulin, but the body doesn’t respond to it properly. This is known as insulin resistance. Treatment for type 2 diabetes may include exercise, healthy eating, medication, and monitoring blood sugar levels. Long-term complications of diabetes can lead to additional health risks, especially when diabetes is not well-controlled. These may include: impaired vision, stroke, and heart disease. According to IDF global statistics, more than 425 million people have diabetes, and half of all cases are undiagnosed. 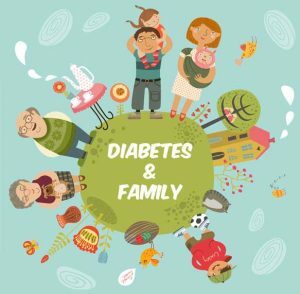 The WDD theme, spanning two years, highlights the impact on families and the role families play in diabetes management, care, prevention, and education. Today, less than 25% of all family members have access to diabetes self-management education which supports improved quality of life. For those needing insulin, the costs can be very high, and even unaffordable, impacting the livelihood and health of families. Every three minutes in Canada, someone receives a diabetes diagnosis. According to Diabetes Canada, in 2015, 3.4 million Canadians were diagnosed with diabetes. Estimates for undiagnosed diabetes were at 1 million, and in that same year, 5.7 million Canadians were found to be prediabetic. This amounts to more than 10 million Canadians living with diabetes or prediabetes. 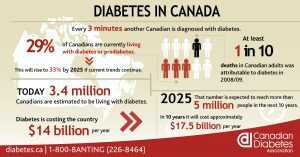 Looking ahead to 2025, the total number of Canadians to be diagnosed with diabetes is expected to reach 5 million. The blue circle is a universal symbol giving diabetes a common identity. Its purpose is to show support of all efforts to spotlight diabetes around the world. Across many cultures, the circle symbolizes life and health. It was the passing of UN Resolution 61/225 that inspired the blue circle, reflecting the colour of the sky, and the colour of the UN flag. 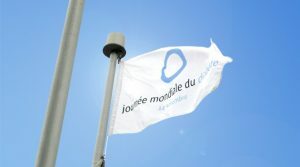 This is significant because the UN represents unity among many nations, and holds a strong and influential position to signal governments to take action in the fight against diabetes. Know the signs and symptoms because early detection and treatment matter!